Economists say that right now we are potentially on the verge of entering a national recession. Retail business had low Christmas sales. People are not buying houses, so developers have stopped building them. Corporations are laying off workers. To get started, let's understand a recession. A recession is the financial condition of a country in which it declines in economic growth---that it essentially shrinks instead of expanding. An economy grows when it produces more than it consumes. The national economy is measured every quarter and we see if the gross national product of the country has grown, plateaued, or shrunk. In a technical sense, a recession occurs when a nation declines two quarters in succession. A severe and long recession becomes a depression. Since the Great Depression at the end of the 1920s, the United States hasn't had another one of those. So what caused this recession? Greed. What caused the Great Depression? Greed. After bringing my daughter to orchestra rehearsal on Saturday morning, I hung around and talked to a PhD economics professor who is visiting University of California at Berkeley for this year from Korea. His daughter joined the orchestra three weeks ago and plays cello. I asked him about the recession, and like almost any economist, he mentioned the mortgage bubble. He made the observation, even as I had previously, that this is similar to the dot com bubble that burst in the middle of the 90s. This country has an increasingly growing number of people who the Clinton's can fool all of the time. Anyway, the government does not make jobs. People get government jobs and recently there have been more and more of them because of the expansion of the federal government. However, the government didn't create those out of thin air. They represent, as I'm sure my readers know, redistribution of wealth. Taxpayers produced wealth that was confiscated by the government and then given to a federal employee. You can't sustain a growing economy with government jobs because they don't produce any new prosperity. But I digress to some degree, because I was talking to the economist from Korea and told him that the problem was greed. He smiled like he hadn't heard of this. I explained, first by describing what took place before the Great Depression. The industrial revolution resulted in mass production. Marconi's invention, the radio, increased advertising. Consumers began buying on credit. Covetousness. I want the refrigerator in the advertisement. I must have a Model T like my neighbor. The economy exploded in the roaring twenties. The factories were churning out goods to meet the demand. Men began speculating on the stock market, even borrowing money to invest in a rapidly expanding company. And then the money ran out. People stopped buying things. Now they were just paying on things. Demand for items nearly ceased, inventory mounted, and the factories stopped producing. They laid off workers in debt, who in turn could not pay off their loans for their purchases and their risky investments. When banks started to collapse under the monumental burden of debt, the customers made a run at the banks. Stocks plummeted. Men and their companies were ruined. The Great Depression started because of greed and the solution was fueled by greed, but that's another topic altogether---Roosevelt versus Hoover. We fastfoward to the twenty-first century. The federal reserve attempted to sustain the American economy after 911, which had taken a hit literally and metaphorically, by lowering the interest rates. Mortgage companies, banks, and brokers saw an opportunity to cash in by becoming overly creative with their loans, offering unheard of interest only loans and microscopically low adjustable rates. Future homeowners saw this as an opportunity, especially in expensive housing markets (like California), to get into the dream house and stop paying rent. Some of them could afford a smaller house, but they went for the gusto fueled by the artificially created optimism of the low interest. It has all been greed. Greedy home ownership painted like Grant Wood's American Gothic. Greedy mortgage lenders looking for a quick buck. Greedy illegal immigrants who think they're entitled. And then the greedy politicians who overspent in the time of plenty, instead of creating budget surpluses for the time of leanness. Well, now the bubble has popped and it isn't looking very pretty. The typical solution, which is what has happened, and almost instantly, reminds me of Captain Rennault at the end of Casablanca. I'm not endorsing that film, but I think you'll see what I mean when I say it reminds me of the last scene. Rick has killed Strasser and Renault tells his men to "round up the usual suspects." That's how we'll deal with this crisis---round up the usual suspects. Who are those? An economic stimulus package. It's mainly symbolic---the Korean economist suggested this and I nodded "yes." And then a massive 3/4 point interest cut. 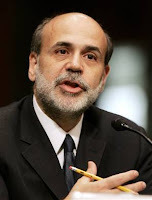 Mr. Bernanke doing his part. There we go. All solved. Right? My Korean economist laughed and enjoyed my economic term for all this---the greed cycle. He agreed, and he is concerned. His afraid for what will happen in the future. The mortgage bubble isn't like the dot com bubble popping. People live in their homes. This affects everyday life. This is a deep rooted problem. But of course, it's very deep rooted. It's sin. Man is depraved and greed is part of it. He is willing to sell his birthright for a mess of pottage. He wants to spend now the portion of his inheritance. Who cares if he ends up in the hog trough tomorrow? What's the solution? I told the Korean economist. It is change in the most inward way---transformation of the soul. That alone will end the greed cycle. And we all know that it will never really end until we see Christ. The Lord Jesus will lead a perfect kingdom that anyone can have a part who will turn to Him alone for salvation. But for now, too many people are willing to give up the kingdom then for the kingdom now, one often "paid" for with a very "low" mortgage rate. That bubble will surely pop. What man needs is to end cyclical living and turn to something totally stable---a life of contentment, a life peace and fulfillment that is much better than whatever this world has to offer, and it can arrive when he receives Jesus Christ. Over and over again today I hear Mark 7:7 from evangelicals and fundamentalists. I love Mark 7:7. It's in the Bible. It's Jesus speaking. I agree that this verse is violated. Personally, I think that it is far less violated than these evangelicals and fundamentalists claim, and especially as it is related to their favorite targets. It applies nicely to Roman Catholics; you know, to penance and confessing sins to a priest, things like that. However, they like to apply it to any standard that the Bible doesn't mention explicitly. If someone says anything is wrong with rap music, out comes Mark 7:7. Dancing. Mark 7:7. Movie theater. Mark 7:7. Crack pipe. "Well, that's wrong, so no Mark 7:7 on that." Why? "It just is. You've got to be kidding them if you say it isn't." So Mark 7:7 seems like a verse convenient to use to protect the activities of one's own desires. For Moses said, Honour thy father and thy mother; and, Whoso curseth father or mother, let him die the death: But ye say, If a man shall say to his father or mother, It is Corban, that is to say, a gift, by whatsoever thou mightest be profited by me; he shall be free. "Corban" was a religious tradition. The Pharisees believed that if someone said "Corban" over all his money and possessions that they instantly all belonged to God. Since they were now God's possessions, a person could not rightfully give them away. Those monies and possessions were no longer one's own, so he could not give them away even to his own parents. This validated his greediness and stinginess as a kind of superior, albeit fake, spiritual state. He wasn't abstaining from supporting his parents, but instead "honoring God." God, of course, wasn't pleased, but in the religious man's own self-delusion, he had a sufficient theological reason for refusing to obey Scripture. Scripture often guides men by means of its principles. Historical record shows that those principles have been applied indentically for centuries to Christians lives. God doesn't always give commands, but that doesn't mean that the principles of the Bible are any less authoritative than them. What is the modern equivalent of "Corban?" One is the use of "God looks on the heart" to assume that God doesn't look on the outward appearance. Another is quoting Matthew 7:1 ("Judge not. . . .") so that people won't judge you. However, the one I most commonly hear today is the notion that if you have any interpretation of a passage or any external source to back your view, then you must be granted certification as having a valid position that can no longer be questioned, especially for the sake of unity. If you can find one remote lexicon that gives you an alternative meaning, then you should be tolerated. You can't say that I'm wrong. You can say only that we've got two different positions. You shouldn't say I'm disobedient. You should say that I've sincerely searched this out just like you, but have honestly come to a different viewpoint as you. You shouldn't be so dogmatic about teachings that have more than one position. When there are so many interpretations to a passage, we can't really be certain enough about its meaning to say that someone is wrong. Do you understand how that this loophole is "Corban" reincarnated, and that it really is a man-made creation "making the word of God of none effect"? And I see these Corbanites all over among evangelicals and fundamentalists. So I say to them......Mark 7:13. My son, Kirk (11th grade), auditioned on trombone for the first time for the 2008 California All State Honor Band. This list will inform you as to whether he made it. He has already auditioned and made the CMEA All California Festival Band. I should be doing more evangelism. I can't disagree there. I need psychoanalysis because I'm obsessing about the text/preservation issue. That's not true, although some would say it. Am I feeling left out of the conversation because of what I believe about perfect preservation, so I'm burrowing my way in? This wouldn't be the way to become "in," and I don't need to say, "Believe me." You already know that. 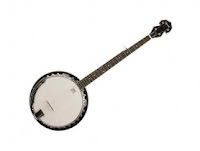 This isn't a one string banjo with me. I like talking about it, because I think it's important, but anyone who is a member of our church knows that I preach on Isaiah Sunday mornings, just starting Luke on Wednesday evenings, and Old Testament historical books on Sunday night. I'm not a pet-peeve preacher. This isn't one. I believe, however, that it is crucial and I want to explain exactly why. I care about all the right doctrine---the gospel, Jesus Christ, sanctification, the church, prophecy---but this one is foundational to all other doctrines. Why? It relates to the authority of Scripture. I have never been able to understand how one can be justified in claiming absolute authority for the Scriptures and at the same time deny their inerrancy. This seems to be the height of epistemological nonsense and confusion. Let me try to illustrate the point. Suppose that I have an Amtrak railroad schedule. In describing its use to you, I tell you that it is filled with numerous errors but that it is absolutely authoritative and trustworthy. I think you would be extremely dubious. At least the schedule would have one thing going for it; it declares itself to be subject to change without notice. And to the like purpose is that observation, That the two Tables written immediately by Moses and the Prophets, and the Greek Copies immediately penned by the Apostles, and Apostolical men are all lost, or not to be made use of, except by a very few. And that we have none in Hebrew or Greek, but what are transcribed. Now transcribers are ordinary men, subject to mistake, may faile, having no unerring spirit to hold their hands in writing. These be terrible blasts, and do little else when they meet with a weak head and heart, but open the doore to Atheisme and quite to fling off the bridle, which onely can hold them and us in the wayes of truth and piety: this is to fill the conceits of men with evil thoughts against the Purity of the Originals: And if the Fountains run not clear, the Translation cannot be clean. Do you see what Richard Capel is saying in 1658? This teaching that we do not have a supernaturally preserved text leads to atheism. He says also that without the Divine authority of a perfect, preserved edition of Scripture, the bridle of God's Word is thrown off, so that men will not live in truth and in piety. He is says that if the original text isn't pure, then the translation certainly is not. If you take the Feinberg quote above and you apply it to the original manuscripts alone, you still have a major problem with Biblical authority. So Does What Capel Said Really Happen? This was a compelling problem. It was the words of scripture themselves that God had inspired. Surely we have to know what those words were if we want to know how he had communicated to us. . . . 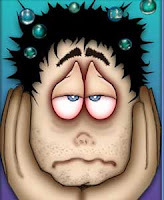 I kept reverting to my basic question: how does it help us to say that the Bible is the inerrant word of God if in fact we don't have the words that God inerrantly inspired, but only the words copied by scribes---sometimes correctly but sometimes (many times!) incorrectly? What good is it to say that the autographs (i.e., the originals) were inspired? We don't have the originals! . . . This became a problem for my view of inspiration, for I came to realize that it would have been no more difficult for God to preserve the words of scripture than it would have been for him to inspire them in the first place. Benjamin Warfield understood the trajectory that textual criticism would take on the authority of Scripture and, therefore, the faith of men, so he reinvented the doctrine of preservation and became the first publically to tie inerrancy to the original manuscripts only. He attempted to remove the doctrine of inerrancy from the Bible that we actually have and use. For example, I am not convinced that the Bible speaks of its own preservation. That doctrine was first introduced in the Westminster Confession, but it is not something that can be found in scripture. But with the rise of postmodern approaches to biblical studies, where all views are created equal, it seems that theology is having a role in the discussion. . . . What I tell my students every year is that it is imperative that they pursue truth rather than protect their presuppositions. And they need to have a doctrinal taxonomy that distinguishes core beliefs from peripheral beliefs. When they place more peripheral doctrines such as inerrancy and verbal inspiration at the core, then when belief in these doctrines start to erode, it creates a domino effect: One falls down, they all fall down. It strikes me that something like this may be what happened to Bart Ehrman . . . . [I]f inerrancy goes, everything else begins to erode. I would say that if inerrancy is elevated to the status of a prime doctrine, that’s when one gets on a slippery slope. But if a student views doctrines as concentric circles, with the cardinal doctrines occupying the center, then if the more peripheral doctrines are challenged, this does not have an effect on the core. Do you see how that inerrancy has moved to the back seat with Daniel Wallace? He is trying to coordinate his theology with his textual criticism and it fails. Rather than believe in a perfect text, instead he unloads first the doctrine of preservation of Scripture and then he downscales his doctrine of inerrancy. Though the Letter of of the Scripture be not the Word alone, yet the Letter with the true sense and meaning of it, is the Word . . . . So if ye destroy the Letter of the Scripture, you do destroy the Scripture; and if you do deny the Letter, how is it possible that you should attain to the true sense thereof, when the Sense lies wrapped up in the Letters, and the words thereof? One of the new ways that the MVO men are explaining themselves into some kind of inerrancy for our modern Bibles is by redefining error. You can see that Rutherford tied error into the letters of Scripture, of course, in fitting with the "jot" and "tittle" of Jesus in Matthew 5:18. That is the historic view. The authors of God's Word in Our Hands, The Mind of God to the Mind of Man, The King James Only Sect, The King James Version Debate, Only One Bible?, and God's Word Preserved would all want you to believe that God's "Word" is preserved. The emphasis is on the singular "Word." They say that we have authority in Scripture because we have Truth in the Words, essentially taking a conceptual preservation of Scripture, where the message and the doctrines are what is really important, separating the teaching of Scripture from the actual Words. Do you see where all of this heads? Well, it's not all. Some of them in fitting with this new view of preservation also have developed some novel interpretations of the harmony of the gospel statements of the Lord Jesus Christ. They teach an ipsissima vox position that says that we are not reading the Lord Jesus, but actually a paraphrase of Him. You see, they say, the very Words don't matter, as long as we get the message. They will defend this position and use it to defend only the "Truth" being preserved. Before long, just like with Wallace, the inerrancy of the originals won't matter either. All of Scripture is inspired, but not verbally. The authority of Scripture is gone. I can't judge the MVO reasoning, but they want you to believe that their position is historical. Of the modern, "fundamental," MVO books, most of them have a huge chunk dedicated to telling a history of their position, which by their own admission is a little over 100 years old. They quote essentially modern fundamentalists stretching back to the late 19th century to show that they have a historical view. Then they spend an equal amount of space to make the position you read above in Capel and Rutherford to look like its something brand new that originated in the 20th century. All of this is either purposeful deception or ignorance. They argue adamantly that they have an old position. To use the words of Mike Harding, "It is laughable if it were not so serious in its consequences." And So What Else Happens? Some have already taken these modern "fundamental" and "evangelical" beliefs to their next logical conclusion. They don't think we can be so certain about the teachings of Scripture, so what really matters is that we have a "conversation" about the Bible itself. This is the mantra of the "emerging church." Conservative evangelicals (like Phil Johnson and John MacArthur) argue almost ad infinitum in blogs and books against the emergents, while their own beliefs about the trustworthiness of the words of our modern text are at the foundation of this very denial. It's a tough admission, because I think that they are sincere about "truth" and really don't want to separate from Words, but once we admit we have a percentage of error in the Words of Scripture, pop goes the authority. This should give you a taste as to why it is that I am so concerned about all this. This strikes right at Christian living and loyalty to Jesus Christ. And this is not all of it. They twist Scripture to keep their textual criticism intact. They give new meanings to the words of Scripture. And then it doesn't matter so much any more what you do. After all, how can anyone be sure? Well, don't believe it. Instead, believe what God has said about the perfect preservation of His Word. It's the truth, after all. Where we look for approval will decide what we believe and practice. We see this through Hebrews 11. Faith is how we get a "good report" from God. Faith pleases God (Heb. 11:6). But we have to make that choice: do we want to please God or man (man's institutions)? Hebrews 11 lays it out like a choice. Abel chose pleasing God with his sacrifice. That sacrifice didn't make sense to Cain, so he chose fruits and vegetables. In a world of men-pleasers, Enoch pleased God. Noah could have received favor from the world, but He chose to build an ark and kept in good standing with God. Abraham could have stayed with family and friends, but he chose to go with God. Moses refused to be called the son of Pharoah's daughter. Approval in the court of Pharoah might have been bigger than anything in the world at the time, but Moses shunned it by faith. He made pleasing God His career choice. In each of these choices, physical evidence often wasn't and isn't plenteous. "Through faith we understand that the worlds were framed by the Word of God" (Heb. 11:3a). We make a judgment about things with no physical evidence (Heb. 11:3b), except faith. This pleases God. But first we must want His approval. We must see His unseen, promised reward to be greater than anything man and his institutions can offer us. Without approval from God, we essentially give ourselves a good report. As 2 Corinthians 10:18 reads, "For not he that commendeth himself is approved, but whom the Lord commendeth." Someone may get commendation from the world, but in the end, 1 Corinthians 3:13 says that it won't last like God's will. God will examine our works as to whether they were pleasing to Him. Some works might please men, but God rewards only those He approves. The text issue presents two choices. One searches Scripture and finds God's instruction about the preservation of Scripture. He studies to show "himself approved unto God" (2 Timothy 2:15). Proper study of Scripture concerns itself more with God's approval than man or his institutions. God approves of study that disregards man's opinions, questions, philosophies, and speculations. Isaac was the seed of promise and Ishmael of human effort. Hagar was doubt and works, and Sarai was faith and trust. The just live by faith. The baby Isaac came by a miracle of God's providence, the Lord working out the details based upon faith in Him. In this Abraham and Sarah found approval from God. Textual criticism stands in man's efforts. Man will give his approval (schools, circles, camps, human scholarship, etc.). Receiving the text handed down through the churches stands by faith in the grace of God. God's Word says that God will preserve His Word, every and all (Psalm 12:6, 7; Isaiah 40:8; 1 Peter 1:23-25; Matthew 5:18; 24:35). I believe God would preserve every One of His Words. Scripture says that God would make His Words available to every generation of believer (Isaiah 59:21; Matthew 4:4). I believe God would make His Words generally accessible to every generation of saints. The Bible says that God's Word is perfect and pure (Psalm 12:6, 7; Proverbs 30:4, 5). I believe that God's Word is perfect and pure. God's Word says that the Bible will be settled to the extent that someone could not add or take away from His Words (Revelation 22:18, 19; Deuteronomy 12:32). I believe that God's Word would be settled. The Bible says that God would lead His saints into all truth, that the Word, all of His Words, are truth (John 16:13; 17:8, 17). I believe that God would lead His children to every one of His Words. When we see what God has taught about His Words and the preservation of them, we choose to believe what He said, despite tangible evidence. Individual hand-copies had errors. God said that men would change the Words of Scripture. He warned of it. We see that this is the strategy of Satan, to amend the Words of God. However, God promised and so we believe that He overcame the work of Satan and preserved His Words so that we would have a settled text that is perfect in fulfillment of His promises. The textus receptus of the NT and the Hebrew Masoretic of the OT are the only texts that could have been preserved and available. They are the only texts that believers will claim perfection. I wasn't there when God created the world. I believe it anyway. I wasn't there when God inspired His Word. I believe it anyway. I wasn't there when Jesus died on the cross. I believe it anyway. I wasn't there when God preserved His Words. I believe it anyway. God will be pleased with your reception of the Words He preserved. You will receive a good report for your faith in His promises. Will you be approved by God or by men?